The latest Republican attempt to repeal the Affordable Care Act (ACA) would strip coverage from millions of people. While the U.S. Senate is busy pushing this bill from Sens. 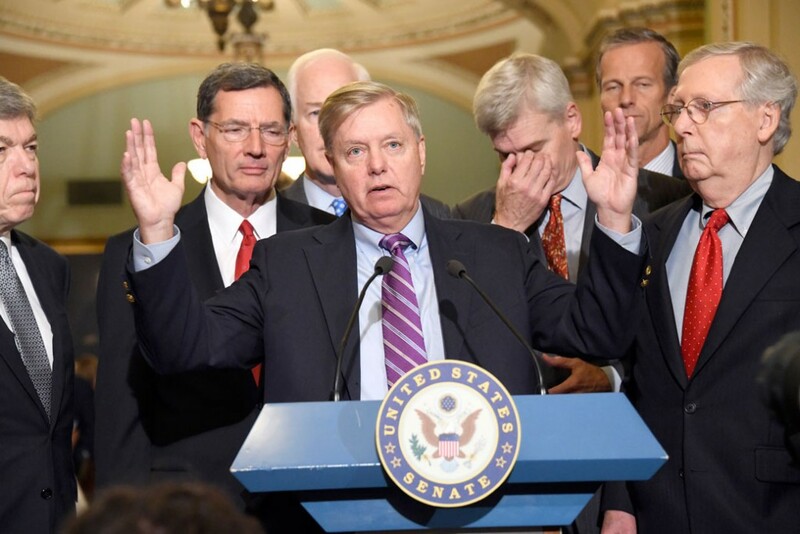 Lindsey Graham (R-SC), Bill Cassidy (R-LA), Dean Heller (R-NV), and Ron Johnson (R-WI), it is failing to move forward with important bipartisan legislation—such as the reauthorization of the Children’s Health Insurance Program and a potential market stabilization package—that would increase access to and affordability of health care for women and families. Below are some of the major ways the Graham-Cassidy bill would harm women and families in every state. The Graham-Cassidy bill would lead to at least 32 million fewer people with health coverage after 2026. The bill changes funding for the ACA’s Medicaid expansion, as well as for the premium tax credits and cost-sharing reductions that help people afford coverage, to a block grant and ends this funding entirely after 2026. It also caps funding for the traditional Medicaid program. Taken together, these provisions would result in huge coverage losses. In 2017, 6.5 million women and girls enrolled in health care coverage through the ACA marketplace, with the majority receiving financial assistance. Without such assistance, many women would not be able to afford the health coverage and care they need, jeopardizing their health and financial security. The bill would end Medicaid expansion and impose devastating per capita caps on the remaining program, limiting the number of dollars the federal government provides to states for each enrollee. Medicaid has been essential in ensuring that many individuals, especially women, have access to comprehensive health care. The program pays for almost half of all births in the country and covers pregnancy-related care and family planning services for 13.5 million women. Graham-Cassidy’s changes to Medicaid would result in 19 million fewer people enrolled in Medicaid in 2027, leaving millions of low-income women without health insurance. The per capita caps would result in cuts to enrollment and benefits that would be devastating for the traditional Medicaid population, including women, the elderly, children, and the disabled. In addition, the bill would allow states to impose work requirements on Medicaid beneficiaries, including new mothers. States could force new mothers to return to work or find a new job 60 days after giving birth, or else risk losing their Medicaid coverage. Women who do not lose coverage under the bill would see their premiums increase significantly. Those increases would be greatest for people with pre-existing conditions, as the bill allows states to waive protections against insurance companies charging higher premiums because of health status. In states that obtain these Graham-Cassidy waivers, issuers would be allowed to charge certain enrollees, including those with conditions such as pregnancy or breast cancer, more. The Center for American Progress estimated how much surcharges would be for various medical conditions in states that eliminate pre-existing condition protections. Based on this analysis, insurers could charge about $17,320 more in premiums for pregnant women, $28,660 more for women with conditions such as breast cancer, and $142,650 more for individuals with metastatic cancer. And this analysis does not account for surcharges that would result from individuals’ previous health conditions, since before the ACA, insurers raised premiums for individuals based on health history, not just current health status. The bill also allows states to waive provisions that require insurance plans to cover 10 essential health benefits—one of the ACA’s most important consumer protections. These benefits include coverage for maternity care, mental health services, and prescription drugs, among others. Before the ACA, an estimated 75 percent of individual market plans did not cover delivery and inpatient maternity care; 38 percent did not cover mental/behavioral health services; and 45 percent did not cover substance abuse disorder services. Millions of women in need of such services could find themselves without affordable options for this care. The bill would prohibit those with Medicaid coverage from receiving care at Planned Parenthood health centers. Planned Parenthood provides more than 2 million people with essential health care services each year and often acts as the single health care access point for many people, including low-income women, immigrant women, young people, women of color, and the uninsured. Patients can access an array of services at the centers, including breast and cervical cancer screenings, well-woman visits, testing and treatment of sexually transmitted infections, and contraception and related counseling. Without access to these centers, many women would be forced to go without care. Similar to previous ACA repeal bills, the Graham-Cassidy bill includes restrictions on both public and private insurance coverage of abortion care, putting it out of reach for millions of women. This bill would result in staggering health care coverage losses for women and families, eliminate key protections, and restrict access to important services that keep women healthy throughout their lives. It undermines women’s health and financial security. Instead of taking essential health care away from millions, Congress should be focused on bipartisan improvements to our health system that prioritize access and affordability of care. Theresa Chalhoub is a senior policy analyst for the Women’s Health and Rights Program and Health Policy at the Center for American Progress.